Available May 1, 2019 or PRE-ORDER HERE. 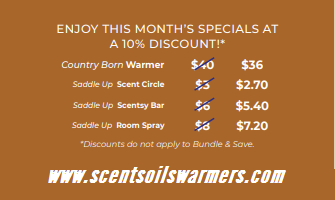 Country Born Warmer of the Month: Tip a hat to classic country style with this western-inspired warmer, ready to make any space feel wide open. 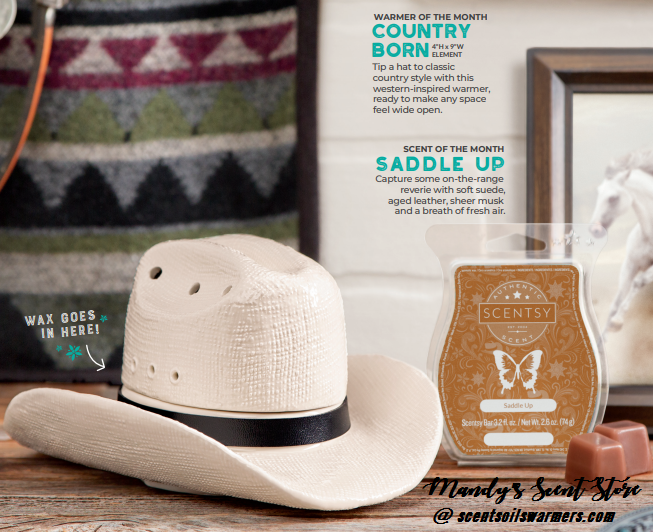 aged leather, sheer musk and a breath of fresh air.